We are all aware of the mass surveillance conducted by the government agencies on us. From our phone calls, emails to web activities, chats and social network activities, everything has been interrupted by the law enforcements. And now they have crossed every limits by using a new way to spy on you. Guess What? Dozens of US law enforcement agencies are quietly taking advantage of the technology that allows them to effectively "see" through walls of buildings to monitor people's activity. This has once again raised privacy questions. Privacy has become just a word as there’s nothing private left, not even our homes. According to a recent report from USA Today, over 50 law enforcement agencies, including Federal Bureau of Investigation (FBI) and U.S. Marshals, have secretly been using the new radars for the past two years, but it came to light just last month during a court hearing in Denver . 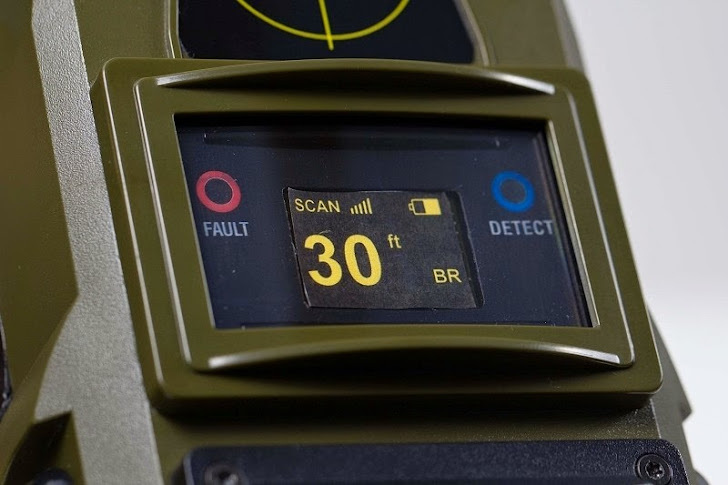 The device, dubbed Range-R, sends out radio waves that can detect the slightest movements, including breathing, from as much as 50 feet away, as a police officer during the court hearing described the Range-R as a "hand-held Doppler radar device. It picks up breathing, human breathing and movement within a house." Just by holding the device against the outside of your home, police can transmit radar pulses through the wall, allowing them to scan every object inside your house. Using it, they can detect bouncing off a moving object in particular, classifying it as either a "mover" (more active) or a "breather" (less active). Over 200 Range-R devices have been sold to "50 law enforcement agencies at a cost of about $6,000 each" by a New York-based company called L-3 Communications. The device covers a conical view of 160 degrees and works in a range of around 50 feet. The sensitivity of the Range-R is sufficient to detect people breathing, making it difficult for individuals to hide from Range-R. It will "penetrate most common building wall, ceiling or floor types including poured concrete, concrete block, brick, wood, stucco glass, adobe, dirt, etc. However, It will not penetrate metal." 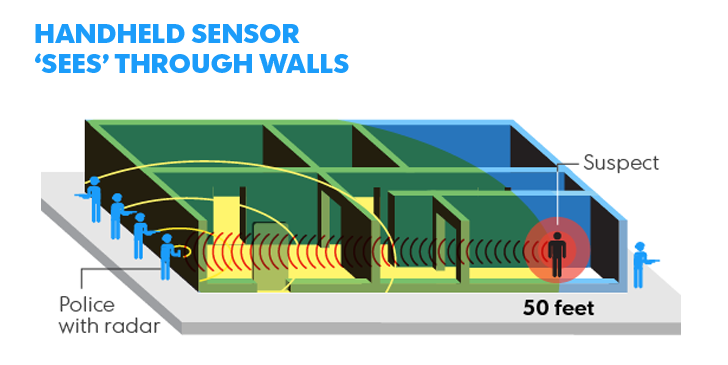 If a wall is saturated with water, this also may reduce the device's effect. I completely understand that police forces would want to use the most updated equipment to search criminals, even I understand their silence about admitting the technology's use — but is the use of such technology is Right? If yes then What is the need for a search warrant? If you were thinking to just be in your homes after knowing the extent of government surveillance, sadly you have to drop those ideas. Now that we know these radar devices are in use from past two years, it's no wonder if other sorts of secret surveillance may be waiting for you. Till then, remember that Your home is under surveillance!